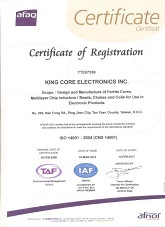 Founded in 1986, King Core is a dedicated professional manufacturer of EMI, power, RF application. 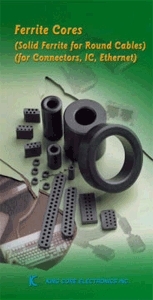 Supplying ferrite cores, chokes, precision coils, SMD ferrite chip beads / inductors, bead Array for EMI/EMC applications, and SMD Ceramic Chip Inductors / Filters for RF design. 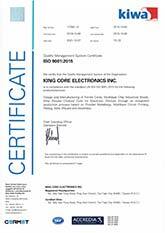 We are proud to be major inductive component vendor of world most important manufacturers of desktop, laptop, tablet PC, mobile device , LCD monitor/TV, digital camera, LED lighting, power supply, set-top-box, wide-band or wireless telecommunication device, USB 3.0 & HDMI device and RF applications, and so on. 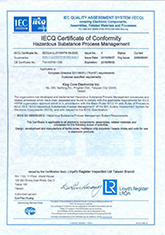 "Quality improving and customers satisfyied" is corporate culture of KC. 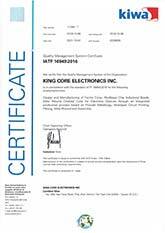 We get certisfication of ISO 9001, ISO 14001 and IECQ QC080000, and become Sony Green Partner. 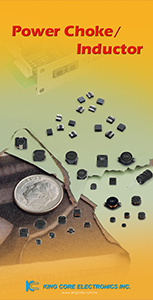 Certificated by international corporations, like Sony, Hitachi, Compal, Inventec, Foxconn, and so on. 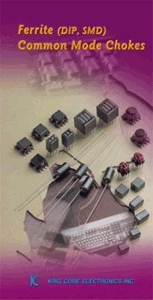 Welcome to contact us and move forward together.